Onyeka Akumah, CEO Farmcrowdy, Damilola Teidi, Director of Incubation, CCHub Nigeria, Tony Onuk, Founder, Roothub Accelerator Systems, Oluwole Odetayo, Co-founder and Executive Director, Wennovation Hub and Ladi Daodu, CEO Serria Capital Limited. “These are designed to discuss off the record some of the most pressing topics in Nigeria ICT, that can hold the key to economic growth and social empowerment through digital connectivity"
The 10th edition of the Nigeria Com was held between 19th-20th September at the Oriental Hotel, Lagos. It was a gathering of the leading Information and Communication Technologies, telecoms and start-ups across the country. In his welcome address, the convener and portfolio manager of Connecting Africa, Chris Read said the event has seen many changes across the telecoms and technology landscape since its inception. He stated that Nigeria Com is the most comprehensive agenda for those at the heart of digital transformation. Read said, “These are designed to discuss off the record some of the most pressing topics in Nigeria ICT, that can hold the key to economic growth and social empowerment through digital connectivity. The chairman of the event and Chief Executive Officer GLTECH, Martin Obiora encourage partnerships among start-ups. He said the fintech space is large enough for all start-ups and established companies to fly instead of promoting unhealthy competition. In attendance for the first session, Making Internet of Things Work for Nigerian Business, was Tony Ayiam, Chief Information Officer, Dangote Industries, Omar Jarmakani, Executive Director, Aramex Nigeria and Otuyemi Otule, Chief Product and Information Officer, 9mobile. 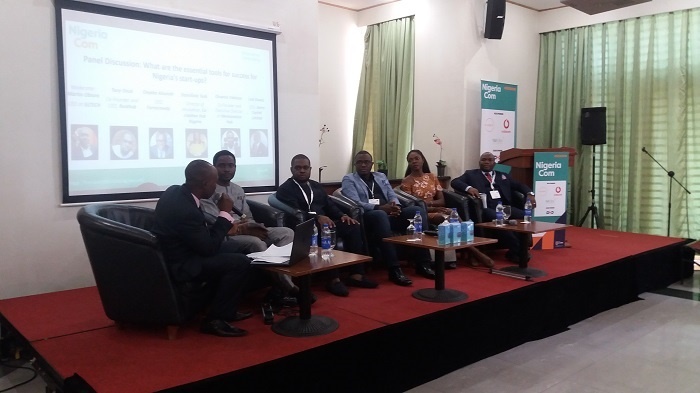 The second session looked at the Third Party Maintenance – a strategy helping reduce and optimize IT infrastructure costs while the third session delved into Maximising the collection of consumer data for Nigerian Business. Other sessions include: Attracting Financing For TMT Business and Funding Considerations for Start-Ups which was anchored by the Ladi Daodu, Chief Executive Officer, Sierra Capital Limited. A panel of analysts including; Onyeka Akumah, CEO Farmcrowdy, Damilola Teidi, Director of Incubation, CCHub Nigeria, Tony Onuk, Founder, Roothub Accelerator Systems, Oluwole Odetayo, Co-founder and Executive Director, Wennovation Hub and Ladi Daodu, CEO Serria Capital Limited; were on ground to discuss The Essential Tools For Success For Nigeria Start-Ups.